If you’ve been frustrated by the costs of managing rental property or dealing with tenants, consider selling your New Orleans property fast for cash so you can take back your life. There are many reasons why you might want to sell your rental property as quickly as possible. These signs should tell you when it’s time to trade your troubles for cash — fast. Residential real estate investing and being a landlord/landlady isn’t for everyone. Sure, rental property ownership has its benefits, such as generating cash flow. 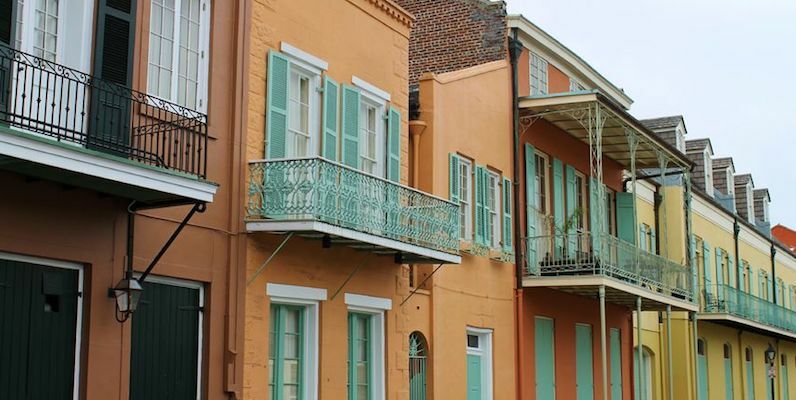 When you purchase or inherit a rental property in New Orleans, you probably hope to hold on to it till it has appreciated and you can part with it at a tidy profit. However, depending on the real estate and rental markets in your neighborhood and your own, unique circumstances, owning and maintaining a rental property in New Orleans may be more trouble than it’s worth. Plus, certain, often drastic and unexpected, life changes may warrant a quick sale way before you’ve been planning to do so. Is “landlording” taking too much of your time? Stressing you out? It’s not all about the money. If you’re taxed and exhausted, and constantly questioning why you’re stuck with unmanageable rental property, it just may not be worth it. Life changes may require you to sell your investment fast, for cash. Maybe your financial situation has changed, or there have been sudden changes in your circumstances such as a divorce, or you want to invest your capital not in real estate but elsewhere — or maybe you no longer want to maintain this property and bear the financial responsibility to keep up with taxes, paying for expensive home repairs, and general maintenance. Myriad reasons may arise to make you want to sell fast and for cash. One life change that might affect your decision to sell your rental property quickly is having to move out of town or out of state. As many real estate companies in New Orleans would tell you, managing rental properties remotely is not easy. This includes making sure the tenants are paying rent on time and treating your property well, making the necessary repairs, and advertising and showing your property between tenants. All this could become a stress-inducing hassle when done remotely, even if you outsource some of the management tasks to a third party who can keep a close eye on the property for you and resolve conflicts with the tenants on your behalf. Investing in and managing rental properties isn’t just done for fun — you expect it to generate at least some income. If it’s not happening, and you’re getting negative cash flow consistently — whether the reasons have to do with the property or the rental market — still, something is wrong, and you should move on. If you can no longer afford property taxes and have fallen behind on payments, you could consider selling your house fast — for cash — using the money to pay off your tax and mortgage debt, and pocketing the rest. Not only could you resolve your tax delinquency before the bank or the government steps in, but you can also potentially pay off any capital gains taxes. In any of those cases, the best and quickest solution would be to avoid paying a commission fee to a traditional real estate agent, remove the burden of costly home repairs and upgrades, and close as soon as possible. We will even take over any tenants you may have! If you need to sell your house for cash, in as-is condition, contact us online or by calling (504) 513-7878.